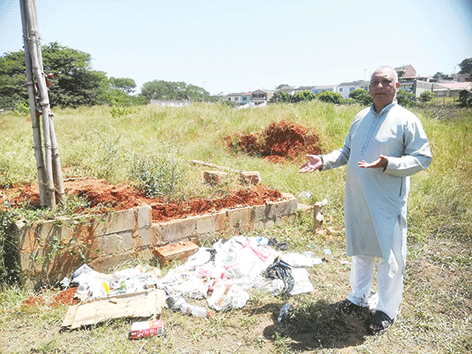 Phoenix resident, Pundit Suresh Singh has made an impassioned plea to residents to stop dumping at religious sites. This comes after waste material was dumped near a worship site in Rydalvale, Phoenix recently. Pundit Singh said he reported the matter to the Phoenix SAPS who swiftly attended to his complaint. He urged members of the community to contact him on 084 824 1736 should they notice any suspicious behaviour pertaining to illegal dumping. Alternatively residents can contact the police station on 031 508 2300.